What can we take away from his recent interview? Colussus Bets is a little different to your average bookmaker site. 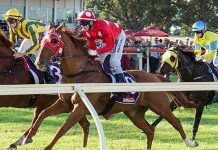 In what can best be described as a hybrid between traditional punting and lotteries, Colussus allows punters to pick winners across a range of sports and racing markets in a lotto-style format. Just like in a lotto draw, a certain number of correct outcomes will net you a prize, with the grand prize to any player that can pick all outcomes correctly in a particular game. Founder and CEO Bernard Marantelli was a guest recently on the Business of Betting Podcast and shared plenty of useful insights on all things punting. Marantelli grew up in Melbourne and came from a bookmaking family – his father, uncles and cousins were all bookies. However bookmaking wasn’t something that always tickled his fancy, with Marantelli choosing to study genetics and bio chemistry at university. In fact, in his younger years he believed gambling to be a declining industry before the age of the internet rescued it from the brink. In the early 2000’s he returned to the gambling industry and began betting in high volumes, finding success along the way. At this point his focus was purely on the punting side of things, but eventually he would move into building a product website and thus Colussus Bets was born. Marantelli believes there are some key drivers to making money in the punting business. First of all, he believes that a strong betting model is always a great starting point; but from there, winning long-term is about much more than that. He believes being pedantic is extremely important; that is consistently obsessing over data and analysis. Marantelli is a firm believer that having good, clean data is crucial, and having the ability to test and analyse that data to improve will go a long way to determining your success as a punter. Looking at where you win and where you lose, and then making decisions on trends over a longer period of time will lead to success. You can often get lost in a model and rely far too heavily on it, just assuming success will come if the model is sound. Marantelli gives a fantastic example of where this falls down. He recalled a person coming to him for some advice, explaining that for two years running he had made $100,000 profit before only making $40,000 the following year. That year he had expanded his betting, adding American racing to his punting after succeeding on English racing. While punting in England continued to bring in cash flow, the new foray into America had started eroding some of those winnings as his model had not translated well to American racing. It may sound simple, but the fact that he had overlooked this fact proved very costly and is a perfect example of relying too heavily on your model without doing the necessary critical analysis. According to Marantelli, as a professional punter you need to have a certain mindset of always wanting to improve and evolve. The punter who wakes up every day and thinks ‘right, how do I make my money today?’ is likely to be the one that succeeds long-term. Again, it sounds like a simple thought process – every punter wakes up and wants to win, right? However it’s the punter that is constantly at work, comparing results, analysing data and adapting accordingly, who will find the most success. The ability to improve and evolve will help keep you one step ahead of the game. As Marantelli put it, the ‘edges of the past’ are gone. What he means by this is that the person who knew something about a horse, or stayed behind at a track for a couple of hours to watch and learn from connections, used to be the ones who could then confidently bet and win at the next meeting. All of that information is now readily available for anyone on the internet, which has eliminated those edges. That said, Marantelli still sees the ability to find an advantage over the market if you are prepared to work harder than everyone else. 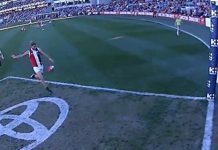 You can watch a race and notice something that isn’t picked up by the official commentary, for instance, and there are multiple ways to gain that edge and develop a winning strategy as well. Find what works for your particular data set or method, and stick to it. It may not work for someone else but may work for you, and that’s what is important. The best way to hone in on an edge is to study a single element of your chosen field more carefully and dilligently than the rest. 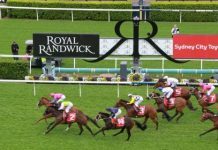 The ‘racing vs sport’ debate is one that has long raged amongst punters, and Marantelli has a pretty firm view on the way things are going to go. He sees sport ‘crushing’ racing over the long-term, and for a number of reasons. First and foremost, racing is harder to understand than sport for the general public. 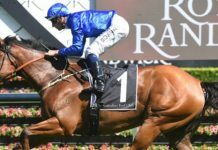 With Winx the notable exception, the general public don’t often get behind a horse and follow it religiously like you would a sporting team. You don’t support a horse from another country, like soccer fans do with a Manchester United or a Barcelona, for example. Further to that, the best horses retire after one or two years while the likes of Lionel Messi and Christiano Ronaldo play for 10-15 years, which makes it harder to generate passion for a horse or stable like you would have for a large sporting team. 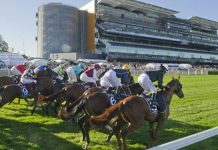 Finally, the races are seen by many as a social event rather than a sporting event, and social punters are likely to bet $100 or so at the races but then never bet on the races again. Meanwhile, Marantelli believes those same people are betting on basketball or soccer on a regular basis. To listen to Bernard’s full interview, click here. 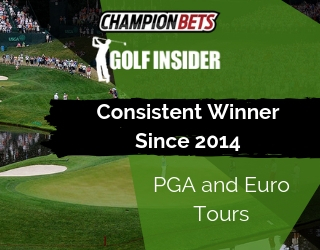 You can learn more about Colossus Bets here. We’ve got tips and ratings to suit any punter’s needs. 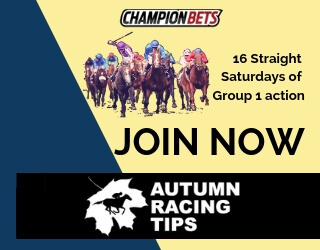 Whether you enjoy betting on the NBA, staying up late for UK Racing or the big race days in Melbourne and Sydney, we’ve got you covered.